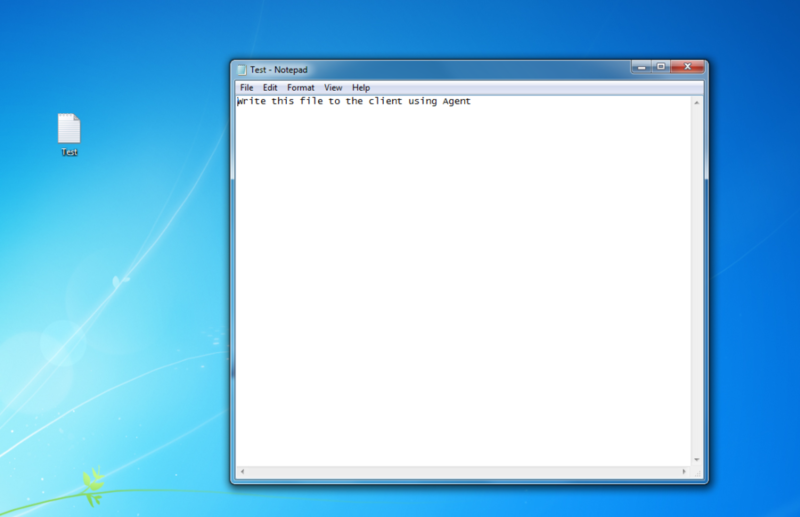 This tutorial demonstrates how to Write a File	to the Client machine using an Agent	in Decisions . Begin in the Designer Folder	with clicking Create Flow	on Folder Actions Panel. Name	the Flow and select Create	to proceed to the Flow designer. 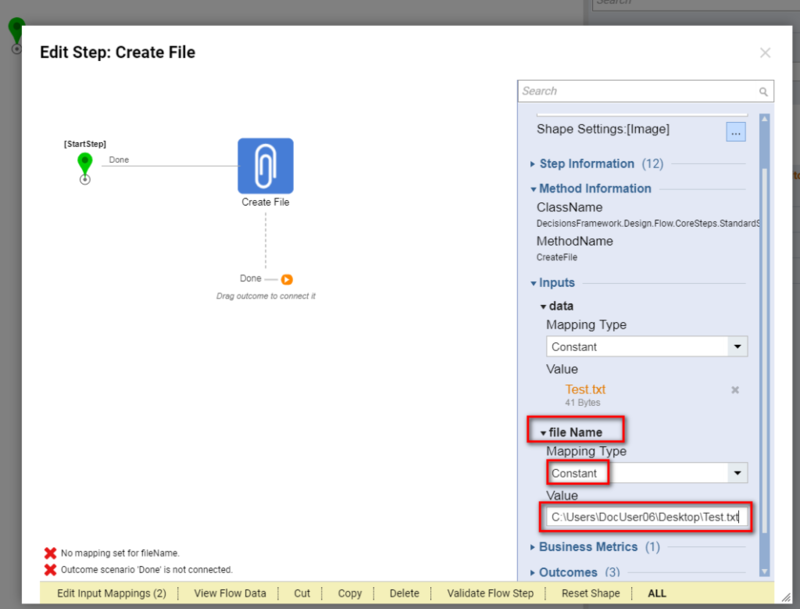 In the Flow Designer add a Create File	step from Integrations > All Integrations > File	category. 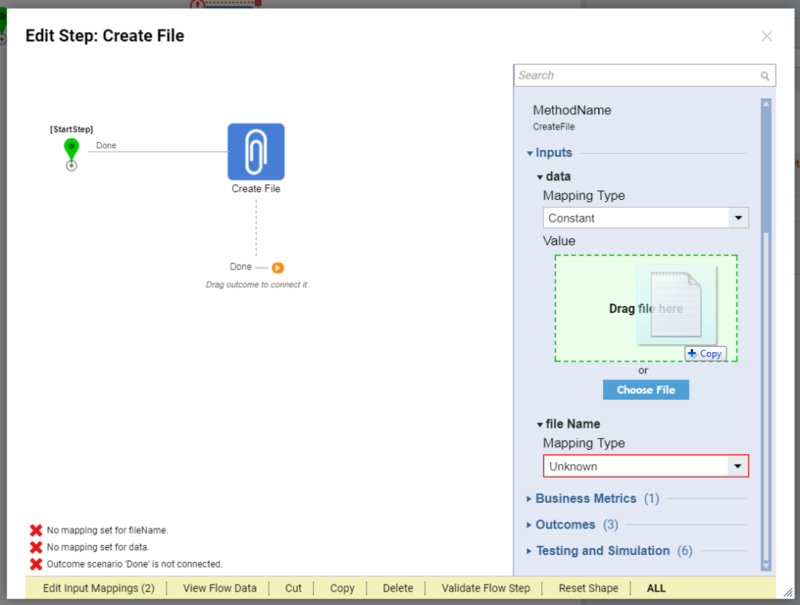 For data Input into the Create File step use the Constant Mapping Type*and drag and drop the *file into the Value box. For the file Name Input use Constant Mapping Type. In the Value field we provide full path where we want to create file on our Client machine	and file Name. Next, connect the outcome from the Create File	step to the End Step	in theFlow. 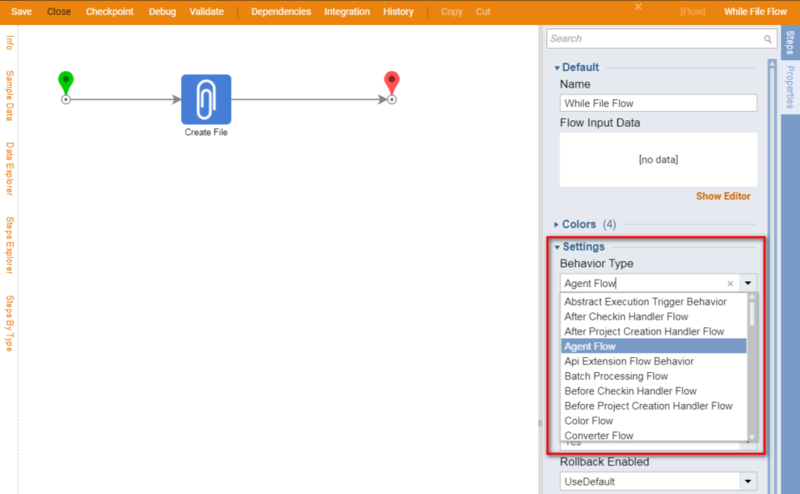 Finally, in the Flow Settings change Behavior Type to Agent Flow. This completes the Flow . Now save the Flowand close Flow designer. Back in the designer Folder select Create Flow	on Folder Actions Panel. Then, Name the Flow and select Create to proceed to the Flow Designer. 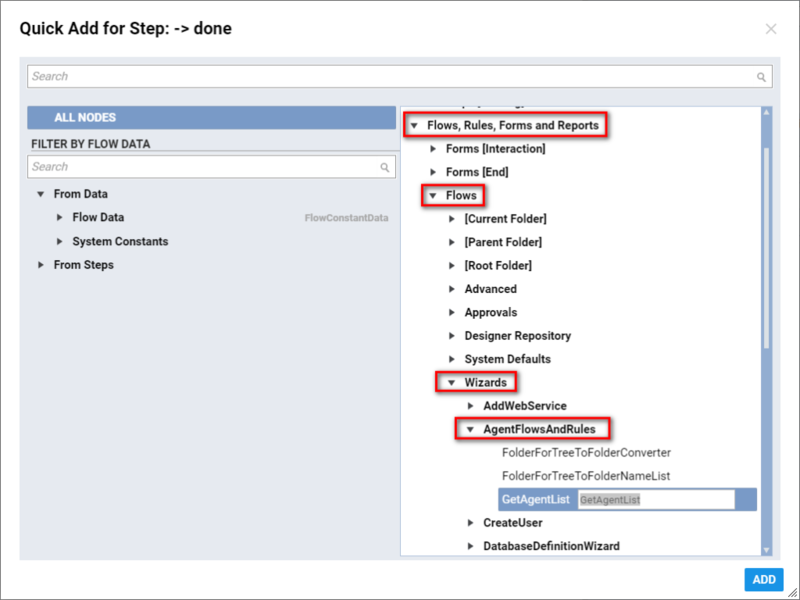 In the Flow Designer we add GetAgentList	step from Flows, Rules, Forms and Reports > Flows > Wizards > AgentFlowsAndRules	category. 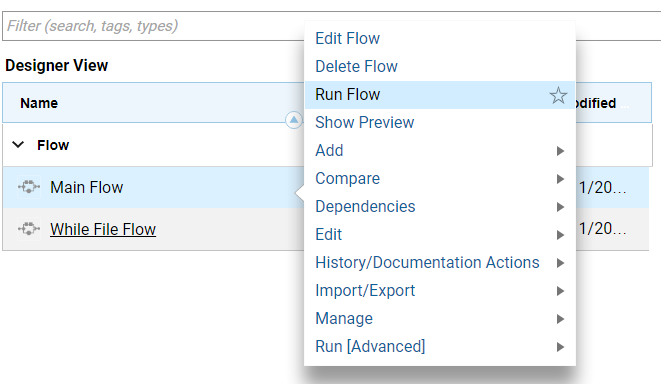 Then, on the outcome from GetAgentList	we add Run Agent Flow	step from Flows, Rules, Forms and Reports > Flows > Advanced	category. 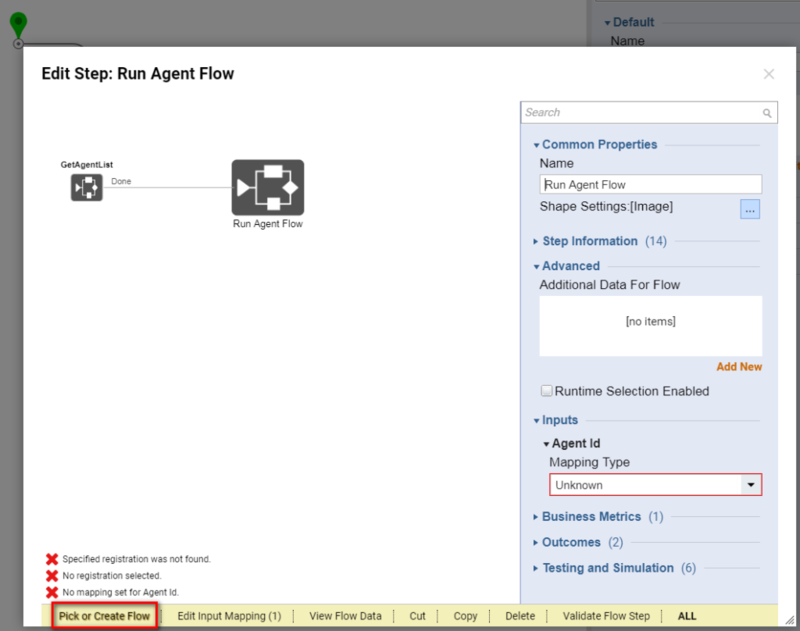 Next, we are going to set up Run Agent Flow	step. 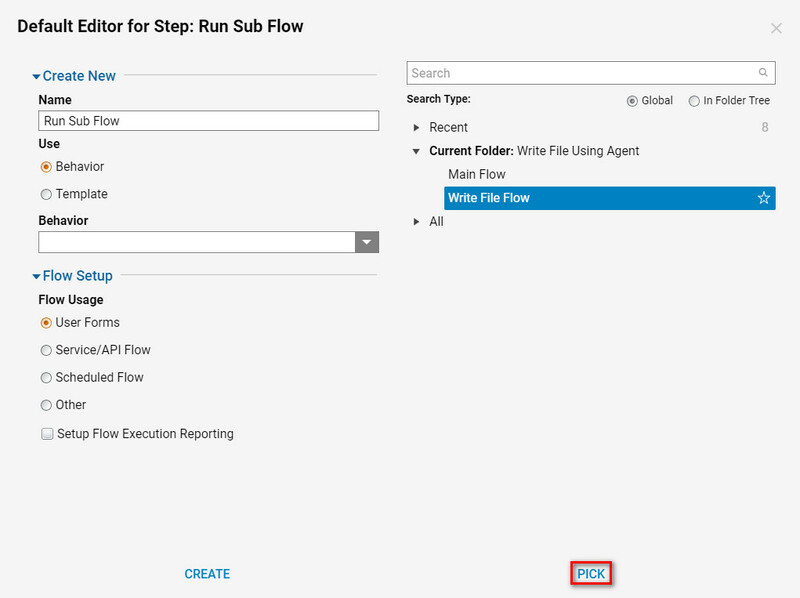 In the Edit Step: Run Agent Flow and select Pick Or Create Flow from the editor. Next on the right side, pick the previously created flow. 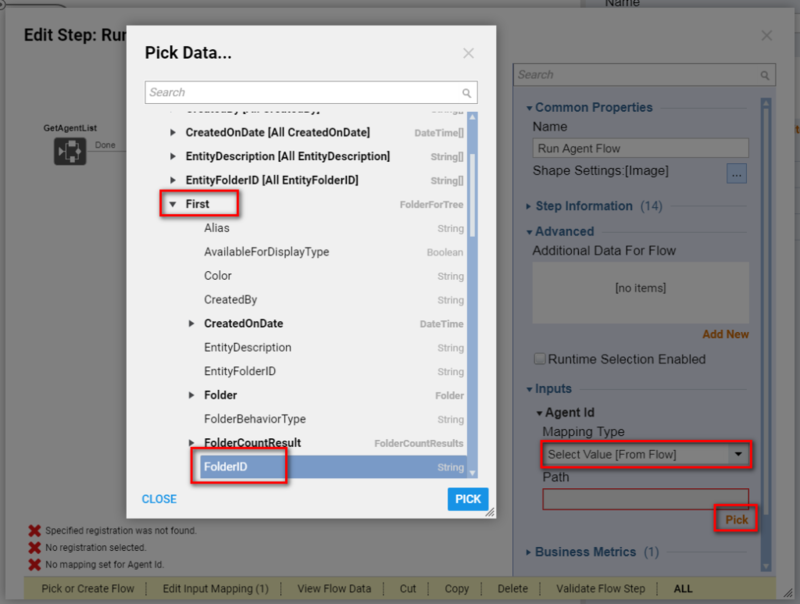 In this example select **Write File Flow ** and pick. Use Select Value Mapping Type for Agent Id Input. Navigate to and expand **Agent Sub Folders **and **GetAgentList step. Expand First **and then select FolderID. 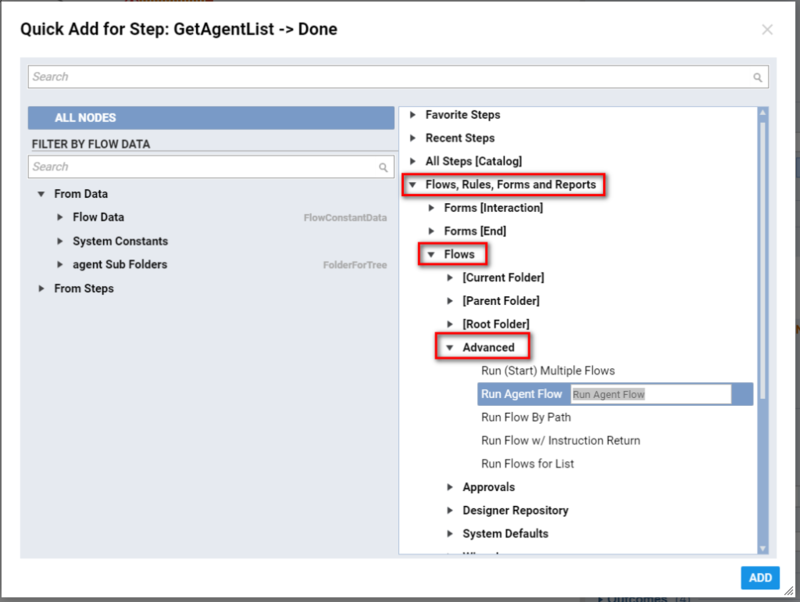 Next, we connect the outcome from Run Agent Flow	to the End Step	in our Flow . This completes our Main Flow . We can save the Flow and close Flow Designer. Back in the Designer Folder we locate thumbnail	for our Main Flow and click Action > Run Flow	on the thumbnail’s menu. Our Flow runs silently with no User Interactions . 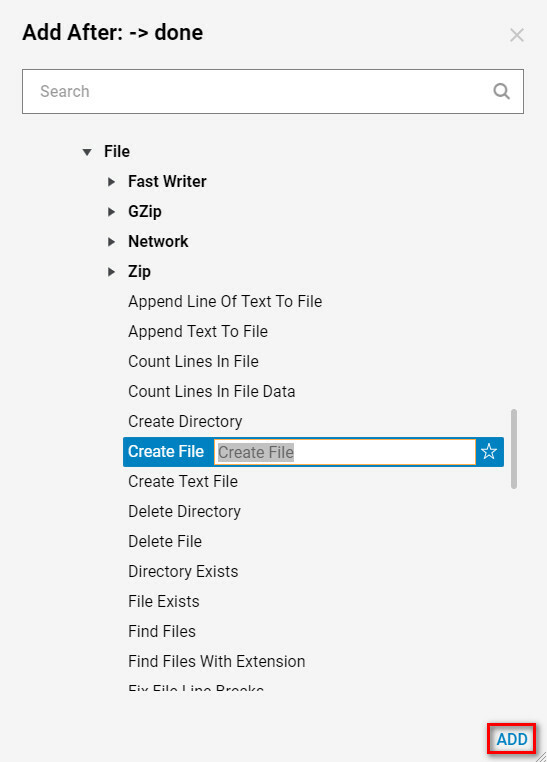 If we switch to our Client	machine we should see our text file created in the location defined in Write File Flow.